Description: Darice Snowflakes add that special festive touch, use them to decorate Christmas displays, wreaths, trees, and more. 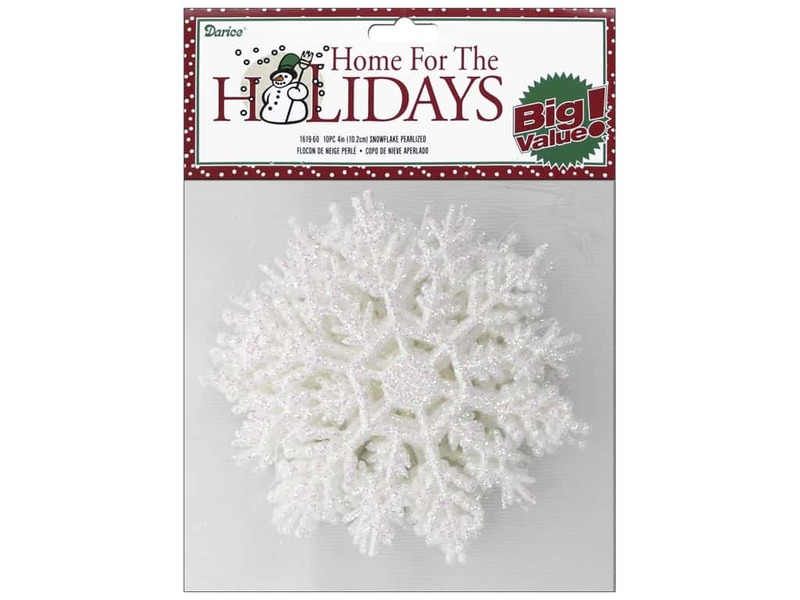 This White plastic snowflake is covered with Iridescent glitter and has a Clear string for hanging. 4 inch. 10 pc.